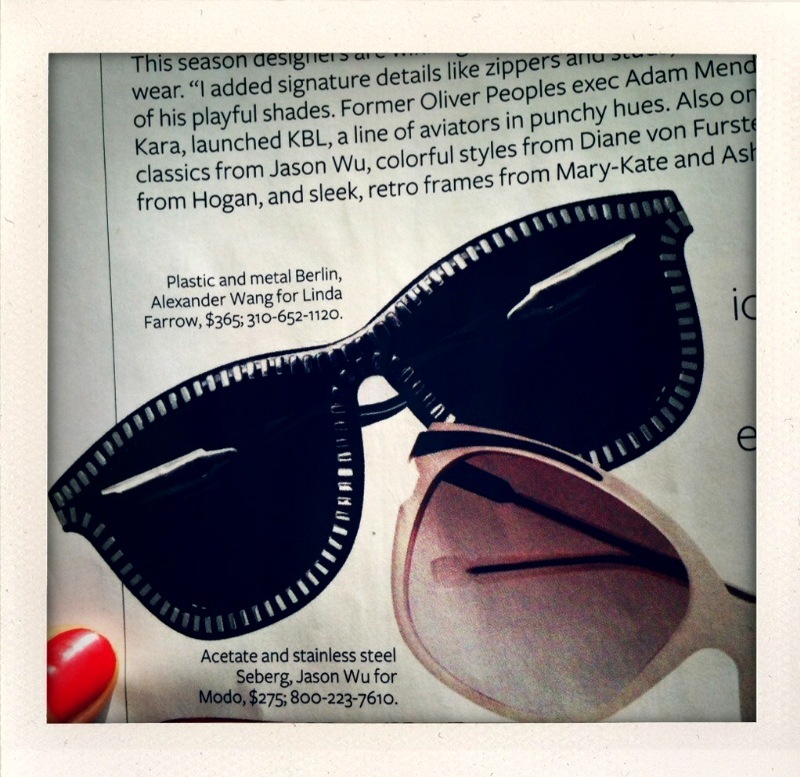 ZIPPER GLASSES — CLAFLIN, THAYER & CO.Claflin, Thayer & Co.
Becca sent me this picture from some magazine because she knew I'd love the zipper glasses. I wrote back right away and said I Need Them. But then, there is the price: $365. Anyone who pays $365 for sunglasses is a total idiot, if you ask me. I am all for splurging on nice things occasionally or spending money on something that's a well-used staple. But sunglasses? For some reason pricey sunglasses really piss me off. It's excessive. If you have that much cash to drop on some shades, I hope you are sending some money along to Haiti or something too.